Full Frame Cameras in 2018. What to choose... — Northwest Camera Co.
Well here we are several years later and camera technology has grown by leaps and bounds. We have all sorts of options for full frame cameras now, but which to choose and which to shoot on? I have my choice and I'll get to that later. But first, lets chat about what our options are currently. 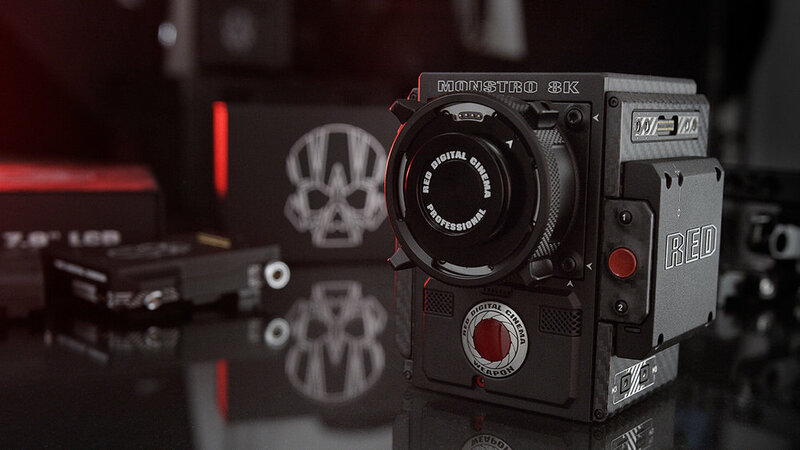 First off we have the new RED Monstro 8k sensor as well as the RED VV Dragon sensor. Both shoot 8k but come from slightly different backgrounds in terms of color reproduction. If you have a VV dragon cam, you may be one of the few lucky ones. Feel these unicorns are going to be very rare. Now on paper, the Monstro beats everything around it hands down. It has framerates, it has resolution, it has the FOV, interchangeable mounts, claimed 16.5+ stops of dynamic range, its tiny media is relatively cheap compared to its competitors using the CODEX recorders, it shoots r3d codec in true RAW. But the price..... oh the price. Once you factor in mounts, displays, media, cages, modules etc, you'll be pushing 100k. The harder part to swallow is that there isn't too much of a demand for RED cameras in the market place since other cams are starting to close the gap on similar tech and several DP's are split on how the feel on the helium sensor vs dragon. 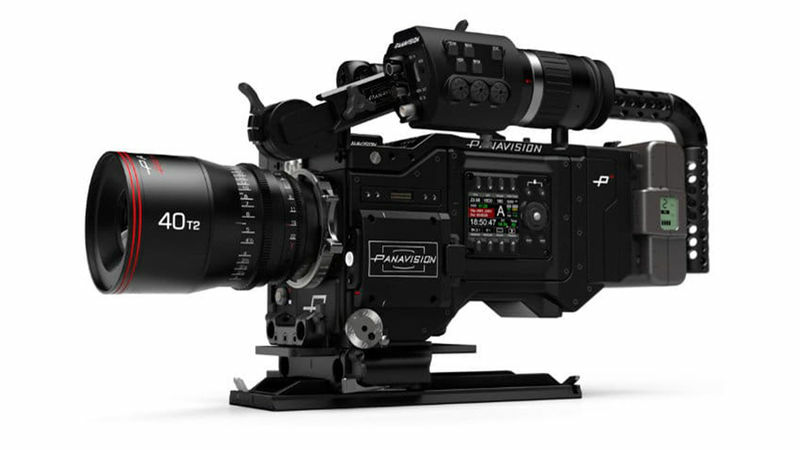 I will say though that even Panavision is after RED's chili because they have been partnering with RED and adopting all of their tech and integration into their new Panavision Millenium DXL2 model, a digital flagship for the company. That being said, several large movies that are heavy in the CGI department are gravitating towards the higher res cams. After shooting RED for so many years, I have a soft spot for what they have done to this industry and their progressive attitude towards furthering camera tech, so I will keep pushing when I can to try out all of their new gear. 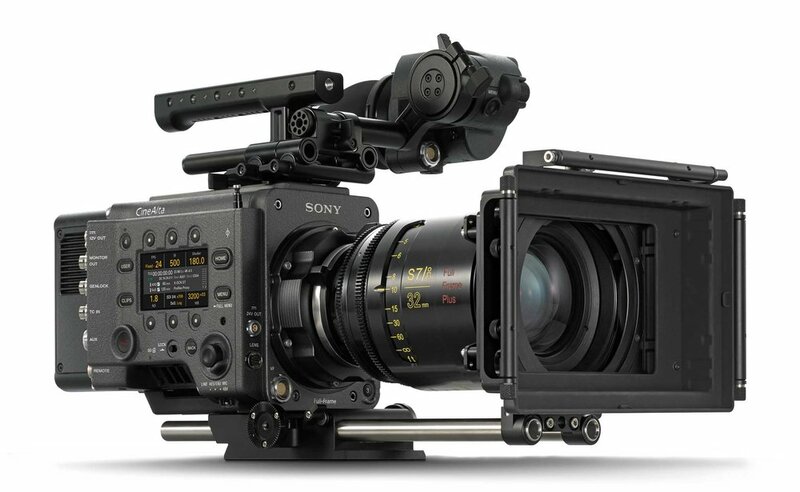 The new Sony Venice is a very intriguing option coming in at 42,000 dollars retail. Plus you'll need an additional 8,000 dollar recorder as well as media and other bits. I'd guess you'd be in roughly 60k all said and done. Now this camera to me is very interesting, because if it's anything like the f65 it'll be a pretty rad little camera. Oh yea, its also fairly little compared to its older sibling the f65. This fella weighs in at about 8.5lbs naked, which isn't too bad at all. Now I'm no fan of the dreaded Sony look, which is why NWCC doesn't own any Sony cams other than DSLR's, but there was something special about the f65 that the other cameras didn't have. And I hope that's the case again with the venice. It'll do 6k/5k/4k as well as other various formats. But you'll need the help of additional software, recorders and other such witchcraft to get all the perks this camera has to offer. Speaking of perks, I'm hearing that this camera may have the most dynamic range of any camera tested to date, which means in the 16 or so range. Pretty impressive. The body is solidly constructed and I believe it should be a reliable workhorse in the industry if they've worked out all the bugs. Now the sensor... it has a true 36mmx24mm sensor and you can switch it to down-sample to 5k/4k/super 35 mode/anamorphic modes etc which is nice that its not cropping to achieve this as well. I'm eagerly waiting to get my hands on one to test a bunch of different lenses we have here at NWCC. I really don't even know what to write about this camera other than it's the cheapest of the bunch. It's also the ugliest by far. It looks like a c300 that got stretched a la Spike Jonze for the new Apple commercial. Starting at a more modest price of 33,000 dollars, the Canon comes in to do what it does best, clean up the lower segment of the market. The camera comes equipped with a 38mmx20mm full frame sensor with the ability to record up to 5.9k RAW at 60FPS through a CODEX recorder which which would need to be purchased separately. Canon claims 15 stops of latitude in C-log 3. Also it will down-sample to lower resolutions in case you need that as well. As well as shooting RAW it will deliver Prores, which should make your clients happy as well as provide you with solid workflow options. One thing the c700 FF has going for it is the color. I've always been impressed by the very accurate and warming tones the canon cameras have produced. They look relatively great right out of the gate. Now this camera while appearing to be long and gurthy, only weighs in at 7+ lbs which is very manageable for camera that is very capable. It will also accommodate anamorphic modes as well as crop modes for faster FPS. Their hasn't been much online in terms of footage, but If it looks like any of the other canon cameras, I feel like I'll be impressed. Now lets get down to brass tacks, who wants one? Well, probably nobody. If the demand is anything like the c700, it will only be that of myth. I personally don't think I could shell out this kind of money for such an unpopular model and one with such a specialty format. Which brings me to my next point.... But first, here's a pic of the c700 FF. Hell, I don't even know really. I'm not a fan of it myself for anything other than landscape and static portraits. To me there is nothing about the format that screams, OH MY GOD, Look!!! It's so much BETTER! It's simply just more FOV to me. And most of the time, I don't need it. Give me more resolution, more latitude, more of anything really. Super 35mm coverage has a wealth of beautiful lenses and pulling focus is much more manageable on almost everything. People still look like people. Things still look like things. To me there is nothing about FF that I need over S35 but everything has a purpose. For 95% of my purposes s35 is the format I would choose time and time again. The answer is simple...none of them. These are all great cameras that can all do amazing things, but given the choice to shoot larger than s35 in terms of format, I would choose my trusty RED Epic Dragon in the DSMC1 body. First off, the crop. It's only a 1.17 crop factor at 6k from full frame which is almost basically full frame. Or enough for me to be ok with it and feel like I'm getting the exact same look I would with a FF camera. Right now you can find tons of used RED Epic dragon packages available for near 15k. THATS NUTS. Reputation aside, It has a proven body. Since I've owned mine, I've had not a single issue at all. No third party accessories or modules screwing things up. No lost footage. Its lightweight, I can control my compression, It's better on a gimbal, anamorphic modes are great, framerates are great in 6k without cropping, the built in audio is much better, the removable OLPF's give you range where you need it being highlights or low light and there are aftermarket OLPF's that really make it look like the Alexa sensor. To me, when I want that larger format look, I'm going right to my Epic Dragon. My old friend. The one I know I can call on for almost anything. And now with RED constantly improving their RAW pipelines, you can apply more modern presets in post and adjust curves more easily. I don't need 8k. And nobody really does yet. It checks all the boxes and still looks INCREDIBLE. Plus, who doesn't love almost infinite flexibility in post? So there you have it. I'm sure we will be seeing many more full frame options come out in the following months with NAB and Cinegear right around the corner. But in terms of FF, the future was already here several years ago with the RED Epic Dragon. So what do you think? What are your choices gonna be? What's your favorite format?